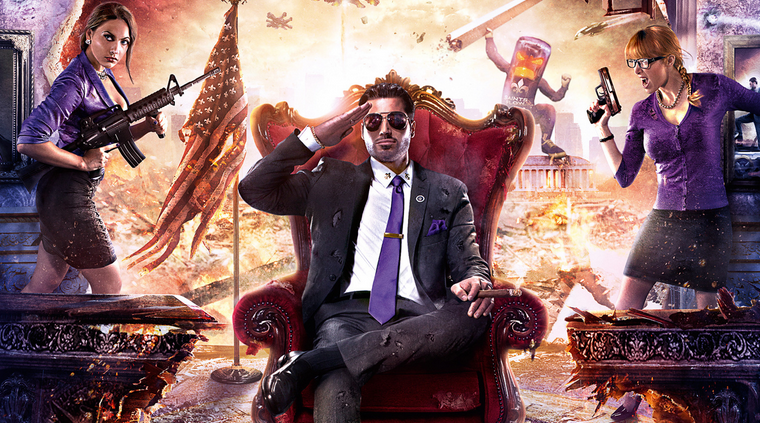 The forthcoming Saints Row IV already has plenty to make it an easy contender for game of the year: superpowers, giant mech battles, jets in the shape of a Bald Eagle, and even a dubstep gun. Oh, and did we mention the Inflate-O-Ray that recreates the classic Big Head Mode? Cause that’s there, too. Now, developers Deep Silver Volition and Heavy Duty have put the icing on the proverbial cake by outlining the game’s massive soundtrack. In an interview with Complex, Brandon Bray and Roel Sanchez, the two chief audio designers, said the game includes seven separate radio stations ranging from hip-hop to EDM to punk-rock. In fact, Diplo’s Mad Decent record label has its very own station, Mad Decent 106.9, which features RiFF RaFF as DJ, because the man’s got a way with words. — KRhyme 95.4, featuring Kendrick Lamar’s “Swimming Pools (Drank)”, ASAP Rocky’s “Goldie”, El-P’s “The Full Retard”, Killer Mike’s “Go!”, and more. For each radio station’s full playlist, head here.